Revolution Slider Error: Slider with alias bbc-maikhao-dream not found. A tropical island destination, perfect for your weekend getaways, Maikhao Dream Villa Resort & Spa, Phuket offers 22 lavish private pool villas ranging from 465 sqm. Maikhao, meaning white wood or white silk, the very foundation and meaning of our existence. Maikhao Dream Villa Resort & Spa offer their guests the perfect getaway from their bustling city lives, where the dream team aims at strengthening the relationship with guests through state of the art services and unimaginable amenities provided. 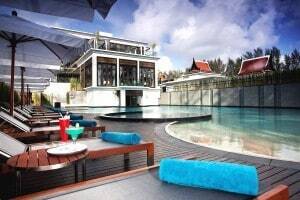 Maikhao Dream Villa Resort and Spa, Phuket is situated on the northwest coast of Phuket Island and displays the natural beauty of Thailand. It is based in a peaceful environment with the Maikhao beach falling on the doorstep of the resort. Maikhao beach is known for the fine sands and the warm and vibrant Andaman Sea that boasts this region’s scenic beauty. A sophisticated standard of living and an unforgettable memory are just a few rewards of this resort. A selection of exotic products and services are combined together in order to provide a distinct experience for the guest. For the beauty bees, they offer lovebirds a romantic valentine spa package for two or for the trendy guests, rent your very own Villa for the day and invite your friends to a Barbecue pool gathering, special occasions or private villa dining with your very own chef! Progressive sessions of relaxation, the award winning Luxury Wellness Maikhao Dream Spa offers authentic treatments to revive and revitalize your mind and body. This is a place where your dreams of an ultimate Phuket spa experience come true. Relish in a delightful selection of luxurious Phuket dining options available at Maikhao Dream Villa Resort & Spa’s Dokbua Restaurant. Spoil yourself in a fine-dining experience like no other. 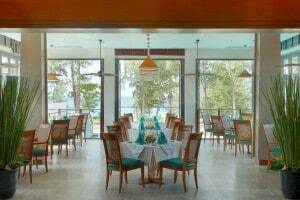 The restaurant features an international breakfast buffet, modern Mediterranean cuisine for lunch and dinner. In addition to food offering, a huge beverage selection is available including premium wines from around the world. 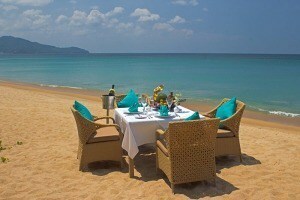 Casual dining along the beach reaches new heights with our Beachside Restaurant. Choice of barbeque meat, market seafood and fresh produce from our private organic garden is combined with sound waves from the Andaman Sea. At the villa resort, our guests always remain entertained, either through the natural beauty of this very island or through our precisely crafted activities session, including thrilling sports such as snorkeling, kayaking, biking through the locality or surfing through the blue Andaman sea in our Luxury Private Yacht.